My good friend Rodger who I’ve known for a long time and is one half of BBrothersBlog.com alerted me to the Florida Marlins and their planned logo change for when they become the Miami Marlins a while back. I had no idea they were going to change their logo. I thought the logo they already had was fine, all that needed to be tweaked was placing Miami where Florida was on the silver circle. I know many teams change their logos and/or uniforms when moving venues, but I wasn’t so sure the Marlins would, their look was fine was it was. I must say I was surprised to see what they came up with when they decided to debut a new look that was leaked in September. 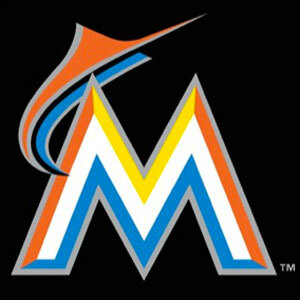 Gone is the logo the Marlins had for their first 19 seasons with the marlin placed on a baseball inside a silver circle and in its place is an orange and teal silhouette of a marlin flying over a multi-colored M for Miami. The M is teal,yellow,and orange outlined in silver. I don’t know what to say. I mean, there’s just too much color. It kinda reminds me of something they might have worn had they been playing in the 1980s (their first season was in 1993). It looks very Miami Vice-esque. It also kinda looks like someone vomited out a logo. Anyways, I wanted to wait to review this when the team unveiled their new uniforms and Friday they did just that. The home whites are okay except why put the city name on the home jersey? Are we copying the Texas Rangers in that department? 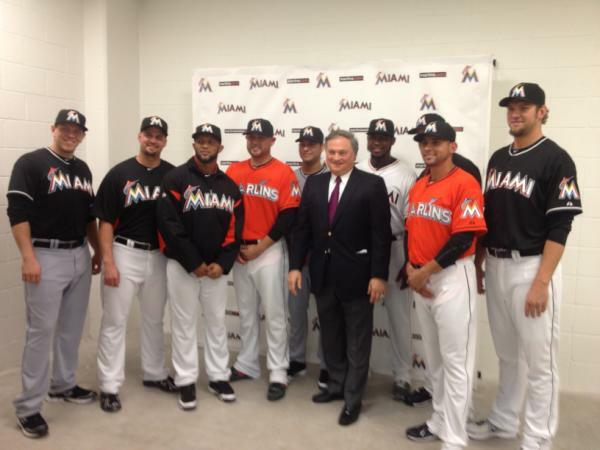 I would have put Marlins on the home jersey. The road grays are also okay. It’s not too exciting. Neither are the alternate black jerseys ( I assume they’re road alternates). The orange alternates I can tolerate because that’s my favorite color,but the accents on it are too much. There are just too many accent colors and I get that they’re in South Florida and that it’s pretty colorful,but it’s just too much. Dump the yellow and keep the teal,black,and orange and you’ll be better off. This uniform would’ve worked 25 years ago, not today. Albert Pujols is considering coming there,but if he has seen these new uniforms, he might want to change his mind. 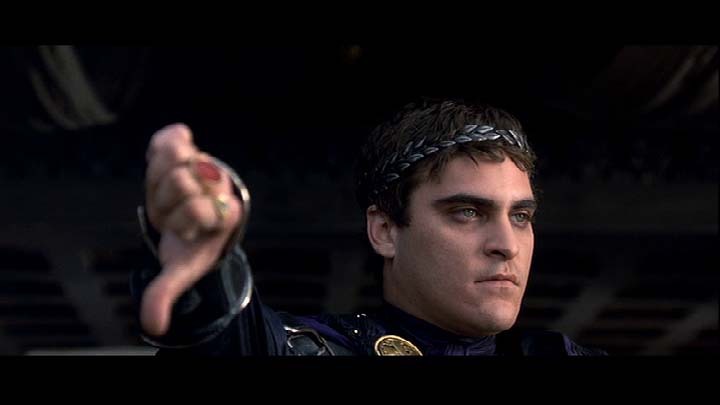 I’m sorry, Miami Marlins, but I give these a Thumbs Down!